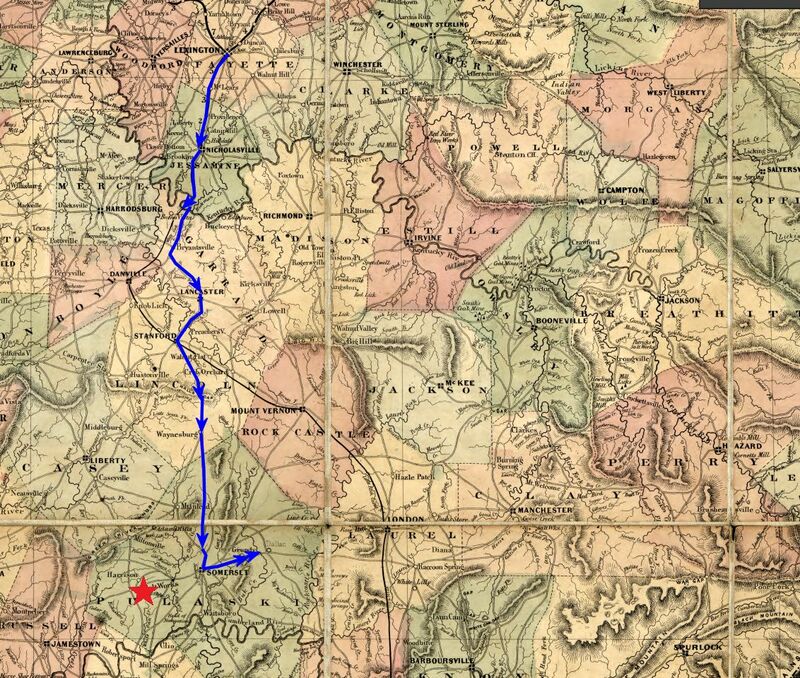 (Today) the teams came up and the regiment moved two miles further on, to Buck Creek. Capt. Wetmore, with his 9th Ohio Battery, here joined us, they were fresh from the Mill Springs battle and had two of the captured guns with them.